I’ll be honest with you. It’s true that the devil is in the details. With design, people notice the details. Would this display be as appealing if I had used something without so much character and patina? 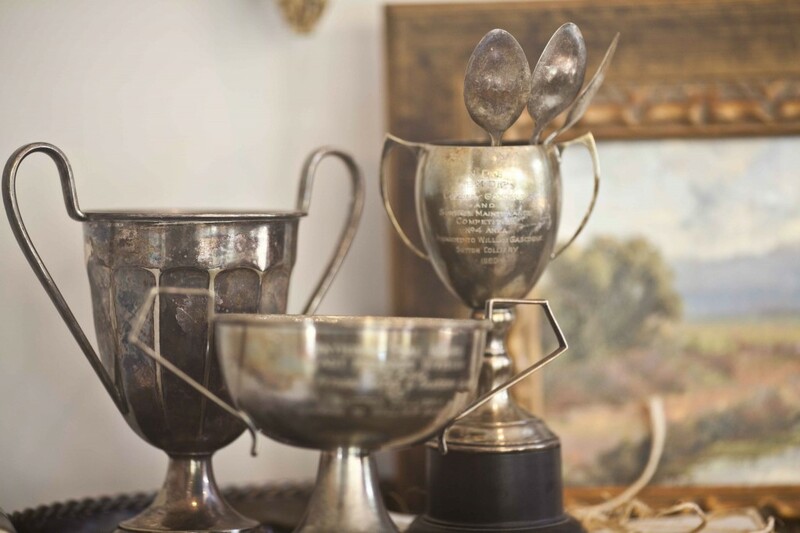 The tarnished vintage trophies add a touch of character and age to the room. They make me think about who won them, and when, and how they felt. Let’s take in all of the details in my dining room, so I can show you more of what I mean. The santos has lots of detail. She adds height to the table and she is just cool and funky. I even added a wood tag that I made into a chalkboard tag. 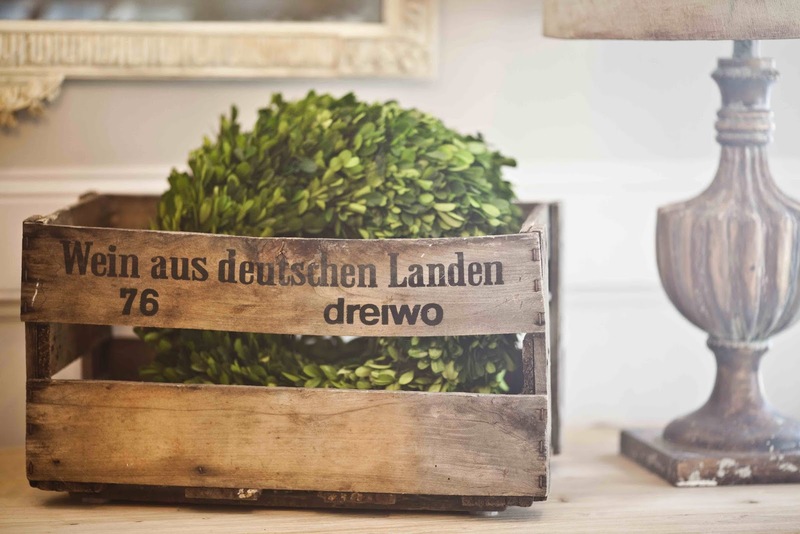 Another detail is the vintage German crate from Decor Steals. (provided for review purposes in a previous post.) I love the aged, warped crate. That tells me it is old. Would a new crate have as much character? I don’t think so. Speaking of details, vintage chairs usually have more detail than new ones. Don’t you love this blue chair? And it came with chippy paint. 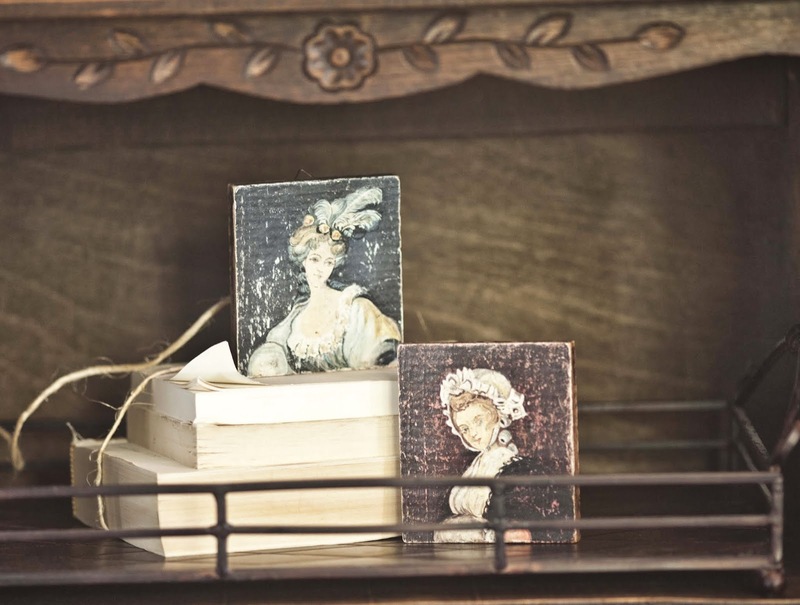 These miniature portraits really appeal to me. Add in the effect of aging and they are twice as fun. They probably aren’t that old, but I look that they look aged. Even the mirror is super old and full of detail. 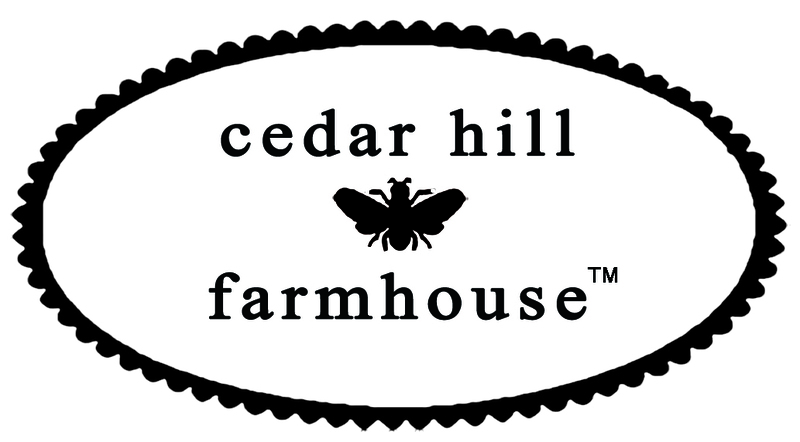 I found it at Round Top, click here for the story. Of course my Round Top olive buckets have so much character, that I even used them empty. I finally added some lavender but will have to show you those photos in another post. I love these angel wings too in the gold. They are new but still have lots of interest. Again another new element is this lamp (well I have two of them). They may be new but they have lots of stuff going on with them. They really have an antique look. Here is a view of the entire room. 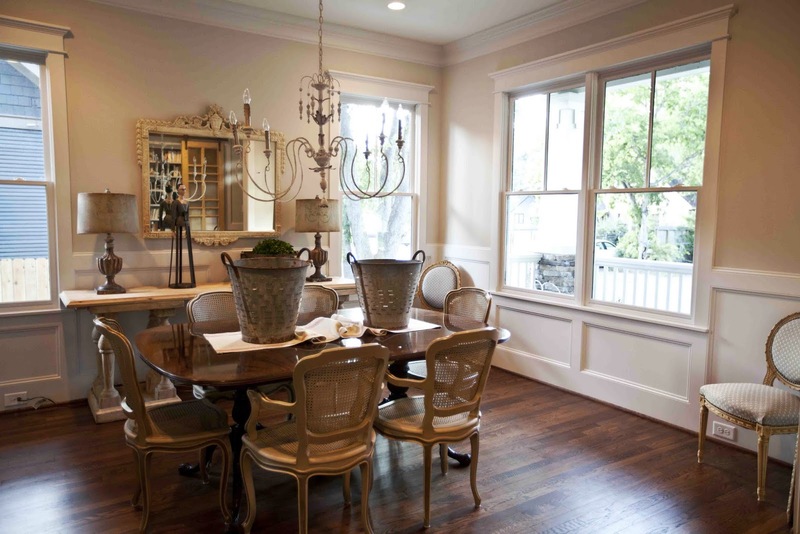 Of course the room itself has lots of detail too with the window trim and the wainscoting and the reclaimed oak floors. So today’s food for thought is to think about details and layering them in a room for a very rich look. How do you layer details? And that’s a wrap. 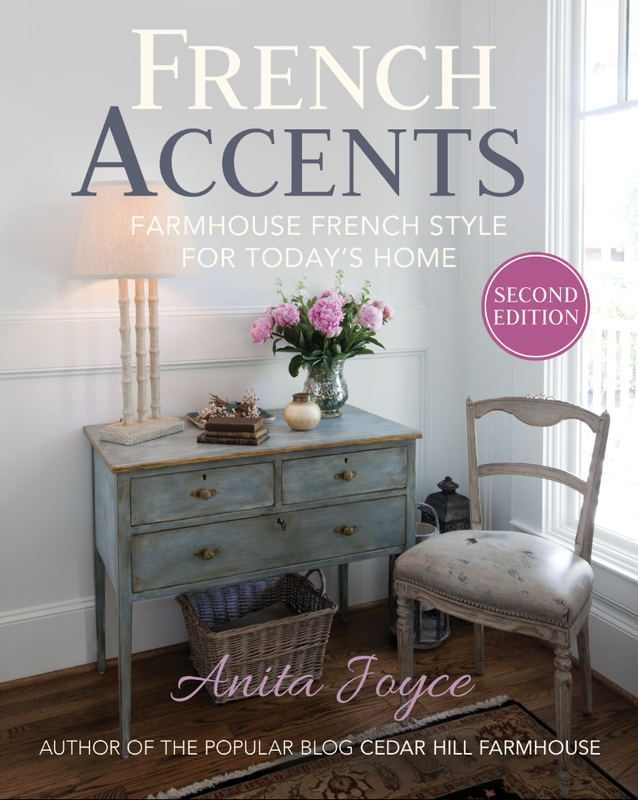 BTW, if want to get more ideas on how to get the Farmhouse French look, be sure to sign up for my free ebook, coming in November. I couldn’t agree more! 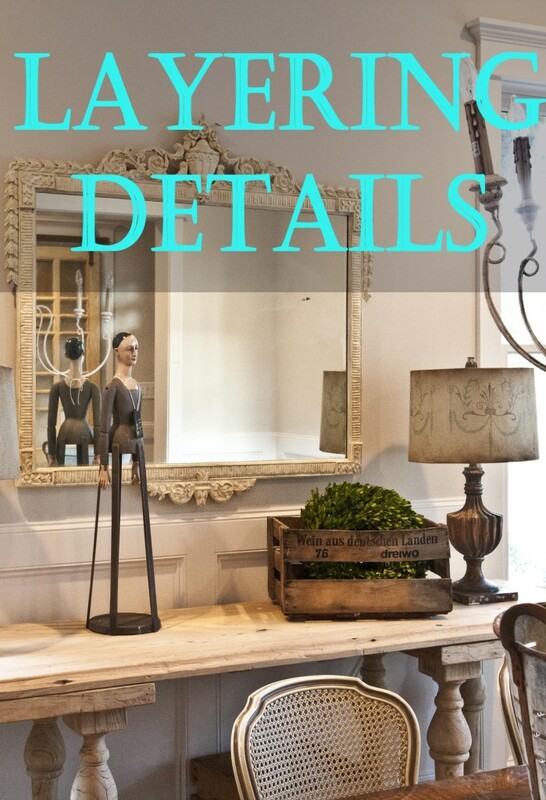 I love detailing a room….just another reason I can’t be a minimalist! 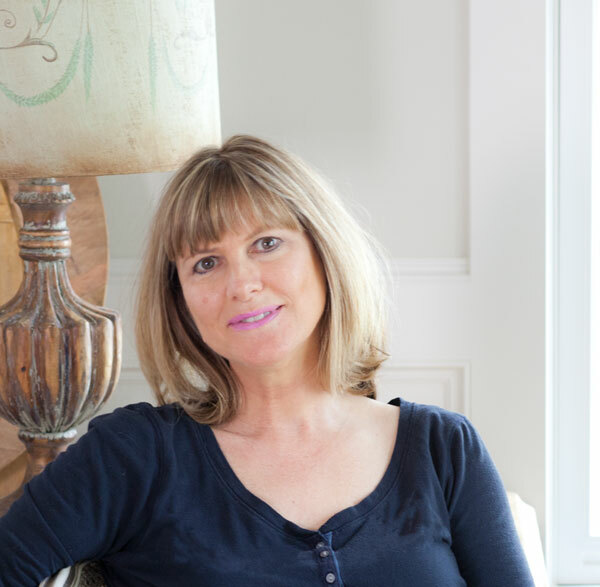 I have seen many homes which have beautiful decor but have left me flat because there was no attention to detail……those small touches bring a room to life, truly. Ahhhh. What a way to start my day. Such a lovely space! What beautiful layers, Anita! LOVE your look! I love this room, especially the chandelier and the side table. The only thing that would not suit me are the two buckets on the table, they seem too large. I would have to move them every time we ate or they would be in the way. And they remind me of my first apartment 40 years ago where I had to put a bucket to catch drips from a leaky roof! But that’s just me and I think the room is gorgeous! Gloria, I promise, the buckets are not there when we eat at the table!! Even much smaller floral arrangements can get in the way when you are dining, so I like to keep that stuff very low or just off the table during a meal. That’s funny about the leak bucket. I love it all. The antique lamp(s) are my favorite. I would love to create a shade like that. 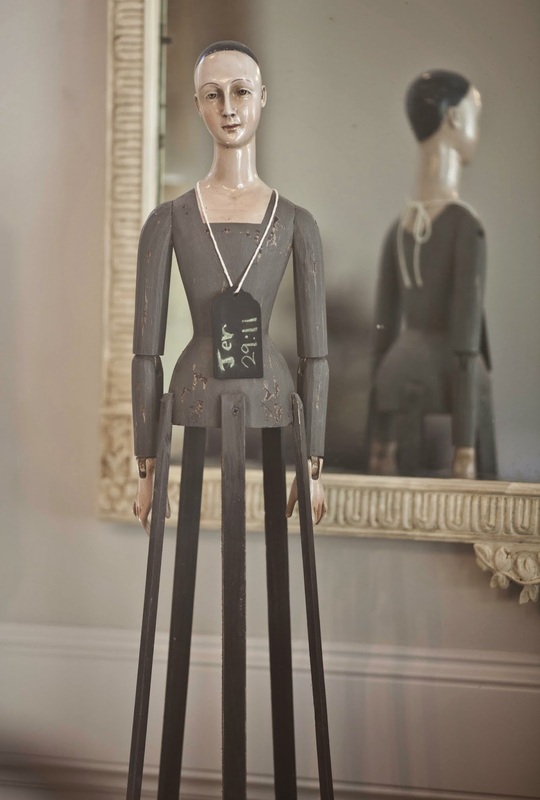 Everything in your house is gorgeous and you have such great style. Love the room and the detail. My favorites are the beautiful blue chair and the chalkboard tag around the lady’s neck with the Bible verse!! Very nice!! 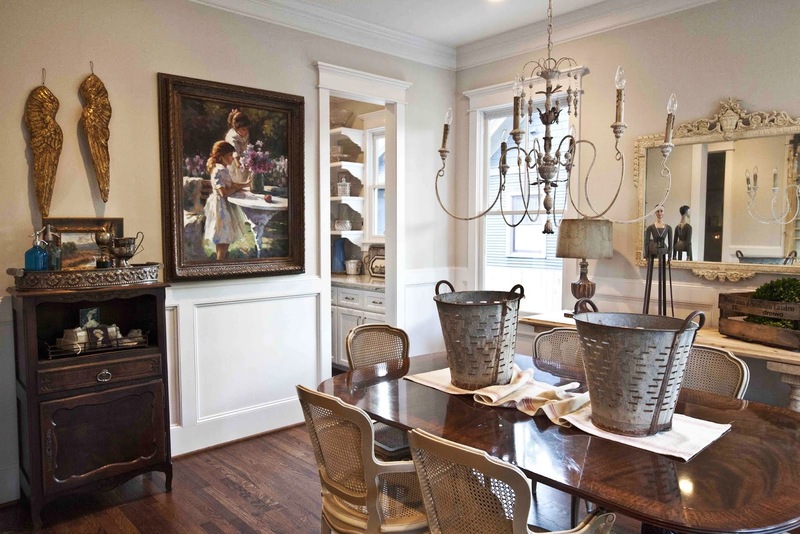 Beautiful dining room and I love how you explained why and how you used your items in your decor. Thanks so much for this lovely post. Have a great week. I love this post Anita and that lamp just took my breathe away! If you ever tire of it you may send it to me if you would like, LOL!!! Your home is so beautiful. I have been looking at chandeliers for the new house and my choices are very similar to yours. It is funny, I am looking at all these things and we haven’t even framed yet but I have the bug and I figure take my time and really concentrate I what I want and there will be no regrets. Love, LOVE, L O V E all the layering of details. 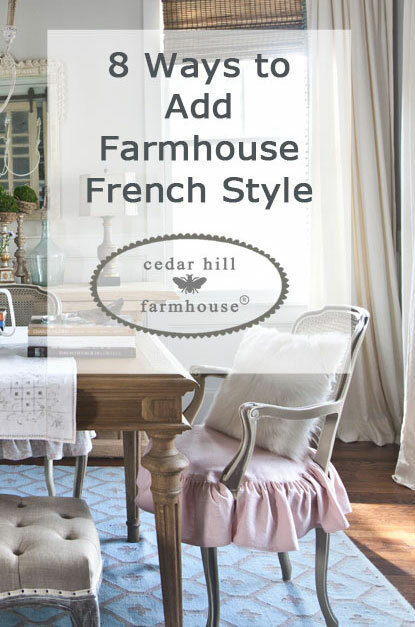 . .
yet, streamlined and classic design of your dining room, dear friend!!! Love the room and thanks for the best information. Love the details of this room and especially love your lamp! Looks like a Guildmaster to me. If you are looking for more lamps like this we carry in the shoppe. 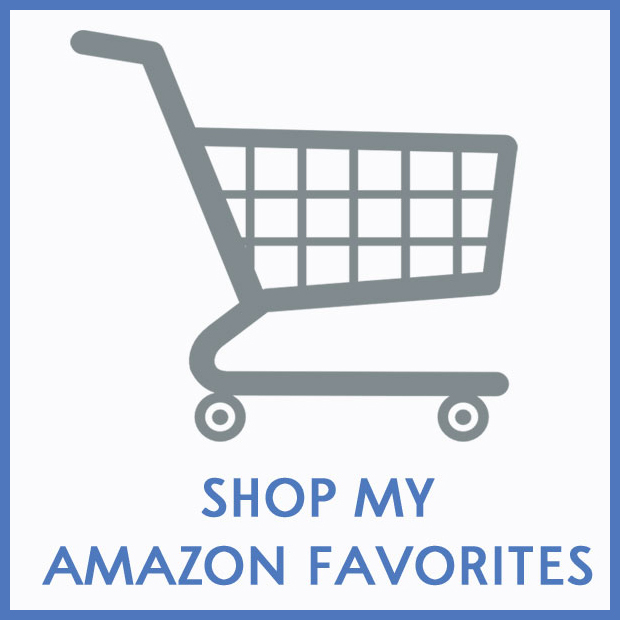 Just wanted you to know…….. Keep it coming, Anita……I love your posts! Rhonda, yes of course Guildmaster!! I used to work for a design store and ordered a ton of stuff then. Guildmaster, Aidan Gray, and Park Hill were some of my favorites. Your shop looks beautiful Rhonda. I love your room and your attention to details. The Santos is that from Ballard Design? I have been wanting one for years but the only one I can find is from BD. love the lamps. They are beautiful. So it’s that time again!! Time for my favorite party. I get so much inspiration from you each week. There is always something here to inspire me and to make me laugh. Thanks to you for letting me know when things need tweaking. I know that happens a lot when you move a blog to wordpress. I’m still adjusting everything to bring you the very best each week. If you have and ideas or suggestions, I’m listening. You can leave any thoughts about my blog or what you would like to see in the future in a comment below or you can post on my FB page, here or even send me a private message on FB. You can also see what I’m pinning and follow along on Pinterest here. Thanks for hosting the party! 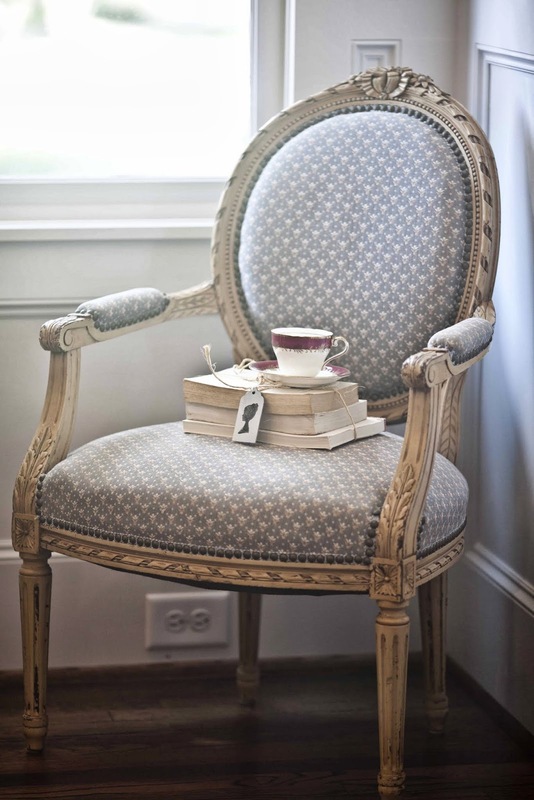 Love the chairs painted different colors… Been thinking about that for a set of mine and these are so cute! 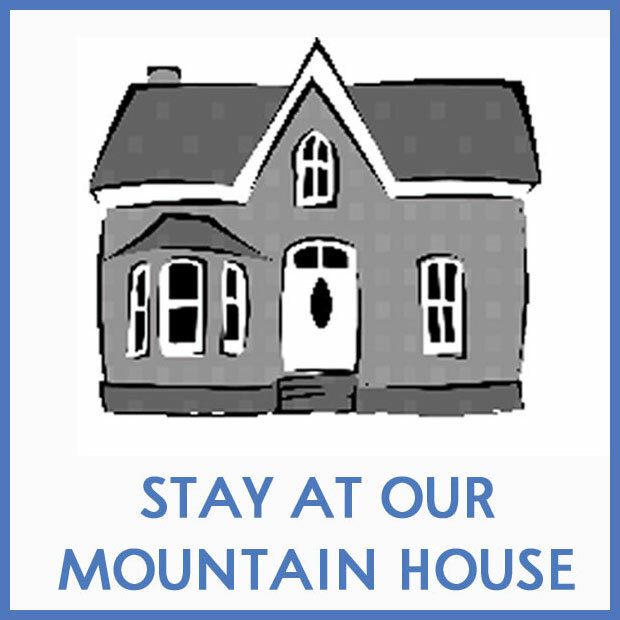 Thanks for hosting and introducing me to a new blogger to follow. Thanks to everyone who came over to visit the olive buckets! And a big thank you to you ladies for hosting this party. 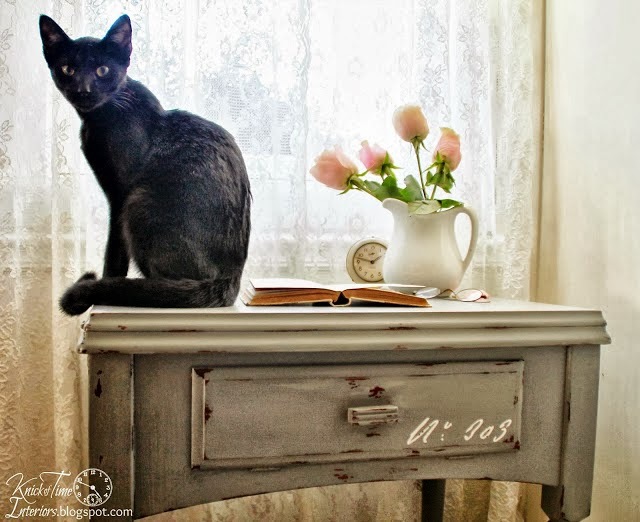 Great features – Love Angie’s desk staged perfectly with that adorable black cat! Thanks so much for hosting ladies! Beautiful features – thanks for hosting! Hi, Anita! Always a treat to join you gals at this party! So nice to meet Julie! Thanks so much. All the features are wonderful! Thanks for another great party. Thanks for hosting The Scoop Anita. Appreciated all the features. Have a great week. Thanks for hosting another week of wonderful ideas! Good evening, Anita – I hope your day went well! Thank you so much for hosting, I really appreciate it! Hi, Anita. 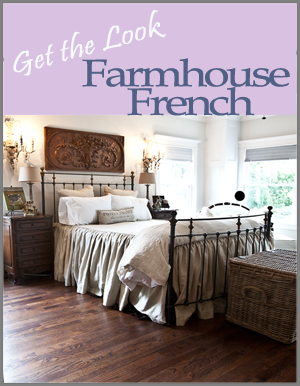 Lots of great features, and love following along as you work on your new home. Thanks for the party! Thanks for allowing me to guest-host today!! It was fun! I’m also loving the new look of your blog. My WordPress transfer isn’t moving along as I had hoped, but hopefully within a week or two, I’ll have my “new” blog, too! 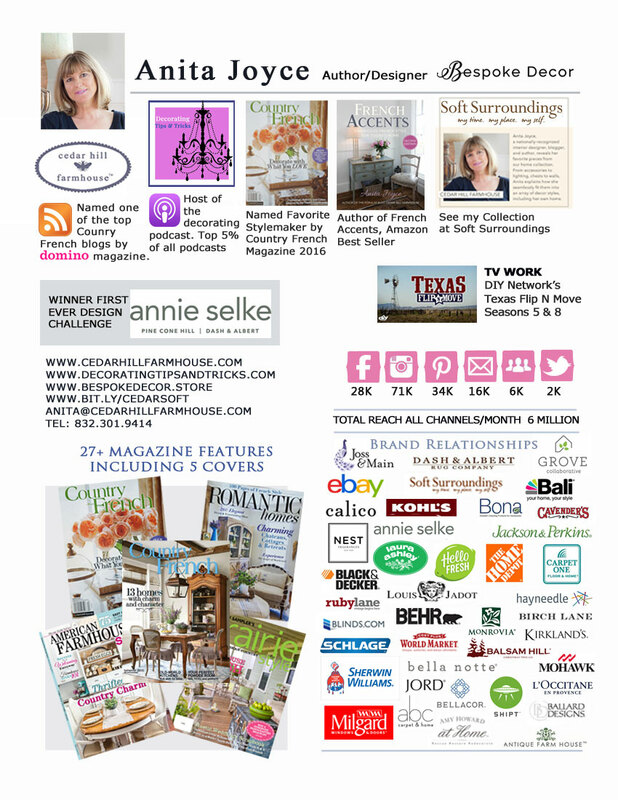 So delighted to join the party this week – love the features – sure do appreciate you all! Hi Anita – You are right about getting used to a new blog. I love my new WordPress blog but in many ways it feels like I’m starting over. I think I need some good tech help! Thank you for another wonderful party. Have a great remainder of your week.